BBC News: the BBC is one of the most respected news organizations on the Web. Great source for world news. The New York Times: the Grey Lady still has it: the New York Times continues to be one of the best sources for world news on the web. Reddit: Reddit is one of the top sources on the web to find crowd-sourced news items, and this includes breaking news stories that are updated by community members with insight and further resources in real time. If you're looking for truly up to the second news with an "everyman" sort of commentary, augmented by outside sources, Reddit is a good bet. Google World News: More than 4,500 news sources updated constantly at the time of this writing. You can also create a Google news alert to keep track of your favorite world news topics. WikiNews: Pick your geographical region and/or language, and you'll see a community-curated repository of news articles collated by people all over the world - exactly replicating the Wikipedia collation process. Alternet: On the Web in different iterations since 1997, Alternet provides an independent viewpoint of breaking news, mostly centered around U.S. events. Reuters: One of the main U.S. breaking news wires, focusing on both U.S. and international events. Many stories from Reuters are syndicated on other sites. PBS: Public broadcasting news for the last several decades; news here tends to be extremely well-balanced and non-partisan, and also includes good background information for further reading. C-SPAN: Watch legislative news as it happens; focusing on U.S. related events only. Online newspapers are how most people get the news these days from all over the world - every major newspaper in every country, in addition to most city newspapers, are freely available online for everyone to read. This makes monitoring news globally and locally even easier; and you can also see what other local newspapers are saying as well, no matter where you might be located. Here's a list of online newspapers to get you started reading the news from anywhere in the world online. NewsVoyager: A gateway to your local newspaper. United States Newspapers: You might be pleasantly surprised to see how extensive this site is; both popular and obscure newspapers are featured here. 50States.com: every state in America has at least one major newspaper featured here. USNPL: More newspapers from around the United States. The Internet Public Library: The IPL's collection of online newspapers. Newspapers-US and Worldwide: This is from the Reference Desk; frequently updated. SmallTownNewspapers: This site showcases only newspapers from small towns. South of England Papers: England papers from the southern half of the British Isles. UK Online Newspapers: Every online newspaper in the United Kingdom is listed here. France Newspapers: A good listing of print media in France. Germany Newspapers: Everything here from Ärzte Zeitung to Zweite Hand. German News: There's a good list of not only online newspapers here but also cultural magazines and other print media. German Language Newspapers Online: From Dartmouth; a list of German language newspapers where ever the German language is spoken. Sweden Newspapers Online: Over 70 different Swedish newspapers are online. OnlineNewspapers. Thousands of world newspapers at your fingertips. RefDesk.com: World and local papers. IPL Newspapers. 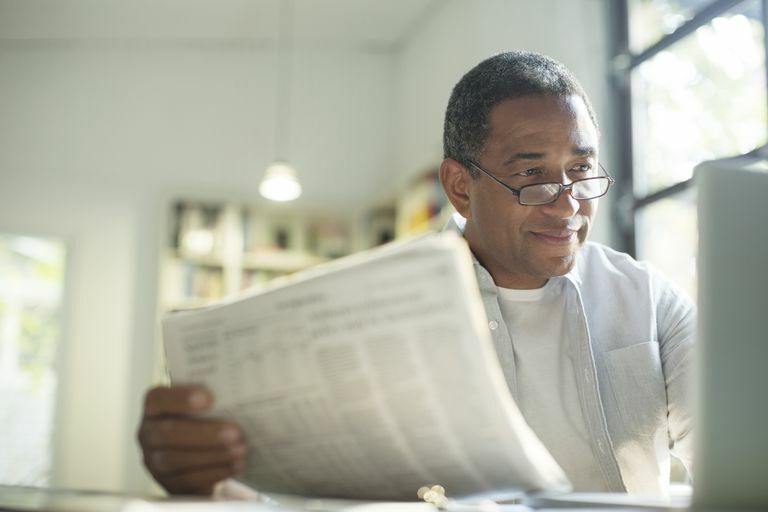 The Internet Public Library's extremely extensive list of newspapers all over the world. PressReader.com: Real newspaper front page replicas from all around the world. One of the best sites on the web to get world newspapers information. OnlineNewspapers.com: "Thousands of world newspapers at your fingertips." Today's Front Pages - Newseum: At the time of this writing, "528 front pages from 46 countries presented alphabetically." NewspaperIndex: A listing of the best online newspapers sites from all over the world. Indekx.com: Very cool; this is an interactive world map that when clicked leads to that country's online newspapers and magazines. World-Newspapers.com: A huge listing of online newspapers from all over the world, from Africa to France to Greece. In addition to this list, simply typing the name of the region or city you're trying to track down a newspaper for into your favorite search engine can also work; for example, "Washington D.C." and "newspaper" would bring you back the Washington Post, as well as other local papers. Most newspapers these days put a large portion of their content available online for anyone to read, so you shouldn't have to work too hard to find the newspaper you're looking for. Note: there are some newspapers that only allow readers to peruse a certain number of articles before requesting registration and possibly payment; it's completely up to you whether or not you choose to take this route. As information becomes more widely disseminated on the web, this practice is slowly dying out. Here are some of the best sites in which to find all kinds of natural disasters information, from breaking news to general information to history. BBC Natural Disasters: an excellent site that gives lots of natural disaster information as well as up to the minute reporting. Global Disaster Alert and Information System: "The Global Disaster Alert and Coordination System provides near real-time alerts about natural disasters around the world and tools to facilitate response coordination." CIDI: The Center for International Disaster Information has up to the minute information on the latest natural disaster affecting the world. The Disaster Center Index Page: A long list of links with mostly hurricane and flood information. Seismosurfing the Internet: A good list of connections to seismic data or earthquake information. PMEL Tsunami Research Program: This site focuses on the Northwestern United States but has a lot of information pertaining to tsunamis worldwide as well (including a mock-up of the Indonesia tsunami). Tsunamis and Earthquakes: The United States Geological Society has put this excellent resource together that shows how earthquakes and tsunamis go hand in hand. NOAA: NOAA, or the National Oceanic and Atmospheric Administration, has information on climate, oceans, coasts, weather, and other research information; as well as up to the minute news. Disaster News Network: "A news service that tells the story of disaster response and suggests appropriate ways the public can help survivors." The Disaster Recovery Guide: A very extensive guide on how to recover from a natural disaster. USAID: The United States Agency for International Development helps provide economic and humanitarian aid in more than 100 countries; especially those affected by natural disasters. Red Cross: The American Red Cross has historically been the first organization on the scene to help those affected by a tragedy. CDC Emergency Preparedness and Response: The Center for Disease Control has put together a great reference site on what to do in the case of emergency. FEMA: FEMA stands for Federal Emergency Management Agency, and they have an excellent site with lots of info on how to prepare for disasters.